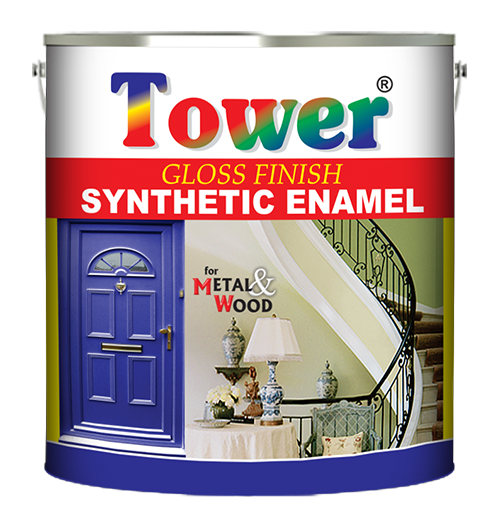 This product is specially formulated for out door metal doors and windows. Remove all dirt and grease etc by wiping with suitable solvent. Remove all the rust by scraping, chipping and wire brushing. Prime with Red Oxide Primer and allow it to dry for 24 hrs. Clean the surface by removing all dirt and grease. Remove all loose flaky paint by scraping. For best results apply one coat of Tower Wall Filling .It will give excellent finish and smooth silky effect.. Ensure iron is moisture free. To remove grease, wipe with a solvent soaked rage. Dry scuff and smooth the surface with sand paper. Apply one coat of Red Oxide Primer and allow it to dry over night. Dry scuff again fill the surface if required and dry scuff once more.